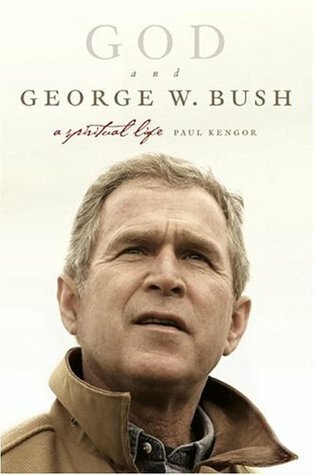 * A Political Conversion: Bob Enyart asks Paul Kengor, professor of political science at Grove City College, about the political motivation of the religious conversion of George W. Bush. Prof. Kengor as the noted author of God and Ronald Reagan and God and George W. Bush is perhaps the best available source to corroborate the account of Bush's conversion to facilitate his father's presidential campaign. George H. W. entrusted his eldest son with the task of patching up the shaky relationship between H. W. and America's Protestant leaders. So dad appointed George W. as the campaign's liaison to the evangelical community, a task for which it would be politically invaluable for W. himself to convert. * Eight Years Later Post-Show Update: With the benefit of hindsight, see how the pro-life profile of George W. Bush confirms the worst fears of the above negative assessment of Bush's political conversion including his support, by his own positions and policies, or the killing of 3.3 million unborn children in America alone. See also the pro-life profile of G. W. Bush's spiritual mentor. ...an old friend [who] secretly taped some of their private conversations… … Doug Wead, …former Assemblies of God minister [and] aide to Mr. Bush's father… Mr. Bush weighs the political risks and benefits of his religious faith… The White House did not dispute the authenticity of the tapes … Mr. Wead had been a liaison to evangelical Protestants for the president's father, and the intersection of religion and politics is a recurring theme in the talks. Preparing to meet Christian leaders in September 1998, Mr. Bush told Mr. Wead, "As you said, there are some code words. There are some proper ways to say things, and some improper ways." He added, "I am going to say that I've accepted Christ into my life. [But Bush added immediately, of course:] And that's a true statement." Mr. Bush… was wary of unnerving secular voters by meeting publicly with evangelical leaders. When he thought his aides had agreed to such a meeting, Mr. Bush complained to Karl Rove, his political strategist, "What the hell is this about?" … He worried, though, that allegations of cocaine use would surface… when Mr. Wead said that Mr. Bush had in the past publicly denied using cocaine, Mr. Bush replied, "I haven't denied anything." … the taped comments foreshadow aspects of his presidency, including his opposition to… anti-gay language… and his focus on cultivating conservative Christian voters. …A White House adviser to the first President Bush, Mr. Wead said in an interview in The Washington Post in 1990 that Andrew H. Card Jr., then deputy chief of staff, told him to leave the administration "sooner rather than later" after he sent conservatives a letter faulting the White House for inviting gay activists to an event. …Bush's biggest concern about the Republican presidential primary was shoring up his right [pro-life Christian] flank. Mr. Forbes was working hard to win the support of conservative Christians by emphasizing his opposition to abortion. [Forbes campaigned as the greatest pro-lifer in the history of the universe; later of course he endorsed Mitt Romney.] "I view him as a problem…"
Preparing to meet with influential Christian conservatives, Mr. Bush tested his lines with Mr. Wead. "I'm going to tell them the five turning points in my life," he said. "Accepting Christ. Marrying my wife. Having children. Running for governor. And listening to my mother." Like Hillary Clinton, Bush was a United Methodist, the denomination that widely supports abortion, homosexuality, and post-Christian doctrine. The Denver radio program BEL spoke to the membership director at the large Houston church that W. attended and learned that while they still believed that homosexuality was a sin, they welcomed homosexuals as members in good standing and seemed to have an unspoken "don't-ask-don't-tell" comfortable relationship with their homosexual members. Mr. Bush said he intended to reassure Dr. Dobson of his opposition to abortion [and] was concerned about rumors that Dr. Dobson had been telling others that the "Bushes weren't going to be involved in abortion," meaning that the Bush family preferred to avoid the issue rather than fight over it. "I just don't believe I said that. Why would I have said that?" [He doesn't know?] Mr. Bush told Mr. Wead with annoyance. Similarly, Bush wanted to nominate pro-abortion Alberto Gonzales to the U.S. Supreme Court, and Harriet Myers, but was deterred by pro-life outrage so that instead he nominated pro-homosexual John Roberts, and pro-abortion Samuel Alito to the court. Later, he read aloud an aide's report from a convention of the Christian Coalition, a conservative political group: "This crowd uses gays as the enemy. It's hard to distinguish between fear of the homosexual political agenda and fear of homosexuality, however." "This is an issue I have been trying to downplay," Mr. Bush said. "I think it is bad for Republicans to be kicking [opposing] gays." Told that one conservative supporter was saying Mr. Bush had pledged not to hire gay people, Mr. Bush said sharply: "No, what I said was, I wouldn't fire gays." …Mr. Wead warned Mr. Bush to avoid big meetings with evangelical leaders, Mr. Bush said, "I'm just going to have one," and, "This is not meant to be public." As Dobson said when he stepped down, Christians are the mistress of the Republican Party. …He said he learned "a couple of really good lines" from [James] Robison, the Texas pastor: "What you need to say time and time again is not talk about the details of your transgressions but talk about what I have learned. I've sinned and I've learned." …"Steve Forbes is going to hear this message from me. … He is not dealing with the average, you know, 'Oh gosh, let's all get together after it's over.' … I will not help him. I don't care [if Democrat Al Gore wins]." POST-SHOW UPDATE -- Conservative Think Tank AEI Validates BEL: According to the American Enterprise Institute, "Between 1960 and 2010, the growth of entitlement spending was exponential, but in any given year, it was on the whole roughly 8% higher if the president happened to be a Republican rather than a Democrat." Really. Over time, it's the Republicans who have been more fiscally irresponsible and of course, each time the Democrats get in the White House, they continue the cycle always trying to outspend the drunken Republican socialist party. Related: See RepublicansAgainstRomney.com.